We had a wonderful turn out for our annual holiday social in December. Many thanks to Not Your Average Joe's in downtown Silver Spring for offering us a great space and some delicious appetizers too. 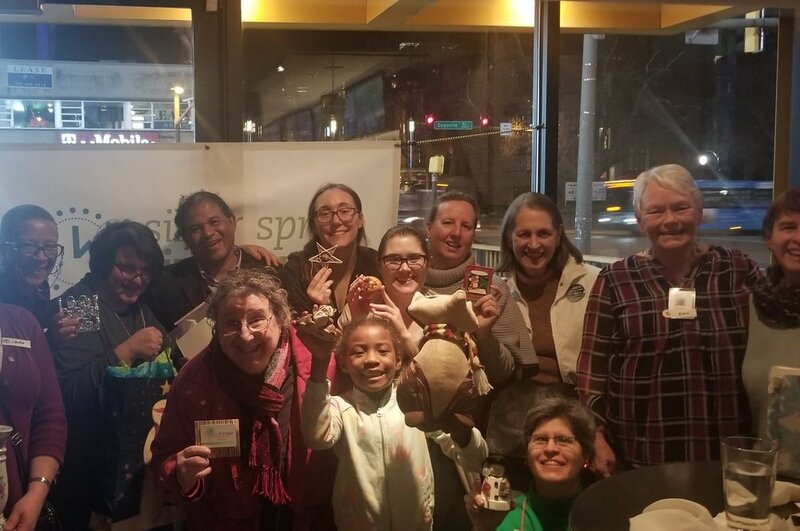 Nearly 30 SSTB members enjoyed connecting with each other and sharing unique white elephant gifts. Best wishes for a happy and healthy New Year from the Silver Spring Timebank!